Having run a few marathons in previous years, 2018 became the year of the Ultra. 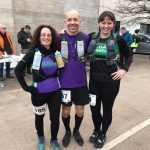 My other (better) half, Jill, decided that we should run Paris Marathon as a training run for the Dukeries 30 miler, which in turn was a warm-up for the St Cuthberts Way 45 miles. Upon completing St Cuthberts I found myself looking for another challenge. 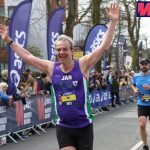 Did I want to ‘just be’ a marathon runner in future? I decided that since I prefer the challenge of off-road to pounding the miles on tarmac racing, after a time, and having felt I had more to give after Cuthberts, that I’d go for it. 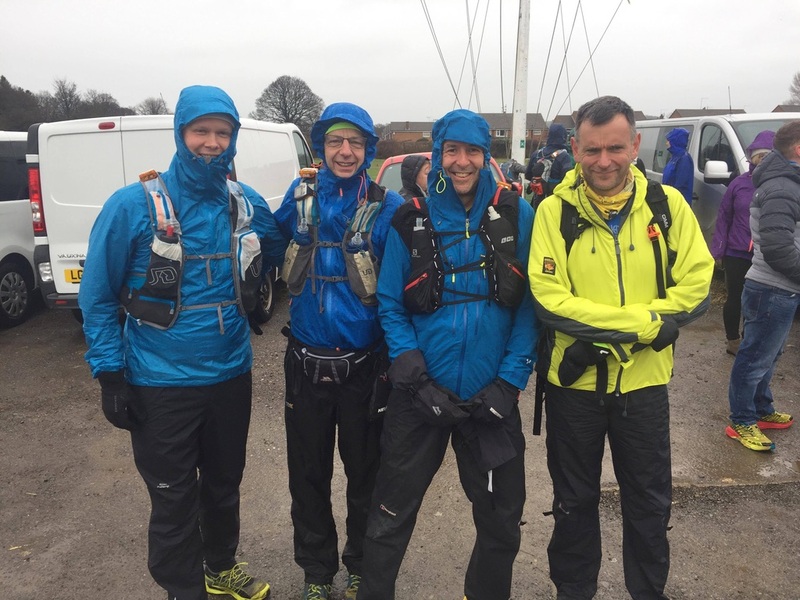 The Hardmoors 55. This year the 55 became the 50 to commemorate 50 years of the Cleveland Way (along which the race is run). The route was shortened (to 54 miles) and an extra trip over the summit of Roseberry Topping added for ‘fun’. To make things even more appealing the route this year ran from north to south meaning the big climbs would be in the first 30 miles. The second half is by no means flat. 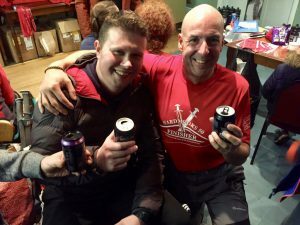 I spoke with my friend, fellow Strider and Hardmoors 1000 club member Dave Toth about doing this with me and sticking together throughout, as I had no intention of plodding around the moors alone. Dave agreed, and I knew he would keep me right pace-wise. I have a history of going out far too fast and blowing up! Roll forward months of training and miles and the day arrived. At 6 am in Durham I opened the front door of the house to discover heavy snow falling from the skies. ‘Great’, I thought, just what we needed! We arrived at Guisborough Sea Cadets at just after 7 am. It was a wet and miserable 4 degrees. Storm Hannah had decided she was going to make an appearance bringing with her 50 mph winds and driving rain. 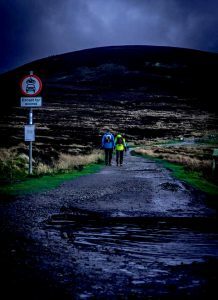 This was at a low level, what on earth was in store for us when we hit the tops of the moors I thought. We started the race in full waterproofs and were to need them all day. 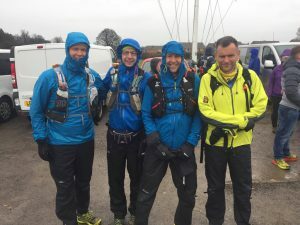 A few minutes delay to the start meant that waterproofs were already coming in useful as we assembled outside of the Sea Cadets in Guisborough. At 8:20 (ish) we were off. With Dave knowing how to pace these things, I was very careful of not getting swept away in the rush, jogging out of the Sea Cadets and up the hill towards the stile where we would go off-road. Over the stile and through the woods was a good place to start just gently running towards the first big climb of the race, the Tees Link, up to High Cliff Nab, where we would join the Cleveland Way. This was the first real challenge. The Tees Link was a bog fest and staying upright was the challenge. At least the woods provided some shelter from the rain. At High Cliff Nab, already wet and covered in mud we were greeted by Hannah and her 50mph winds. Undeterred we pressed on towards Roseberry Topping with rain coming at us sideways driven by the fierce winds. Climbing up Roseberry was tough, descending for the first time even tougher. The front runners were already flying down Roseberry for the second time as we went up for the first, the wind not seeming to affect them. These guys are machines I thought. So, up to the summit of Roseberry Topping, down the other side to the marshals who then told us to simply turn back around and ascend Roseberry again before rejoining the Cleveland Way and heading off to Captain Cooks Monument. At the summit of Roseberry, we were greeted by a familiar face. My better half Jill (who was acting as support crew for the day) had climbed up from the car park at the bottom to provide some much-needed cheer! I’m not sure who was crazier, me for entering this race, or her for going up there to see me for 20 seconds! The section from towards Captain Cooks Monument and from there into the checkpoint at Kildale is mainly downhill (apart from the climb to the monument itself) which allowed some actual running to be done but by now after a tough start, I could feel my legs hating the constant force that running downhill puts on them. Kildale to Clay Bank, from what I can remember of it, is mainly just a huge climb up to the top of the moors followed by a long slog across the exposed moorland. We attempted to run parts of this but the wind and horizontal rain were simply making it all seem rather pointless with little progress being made. It was here, somewhere near Bloworth Crossing, we were passed by someone wearing snow goggles. There had been lots of discussion on Facebook about snow goggles in the days before the race, but I hadn’t actually expected to see someone wearing them! Onwards we plodded, power walking and running, or at least attempting to, towards Clay Bank. At Clay Bank Checkpoint there was Jill again with coffee and a much-needed food resupply. Onwards we pressed over the ‘Three sisters’ (even though there’s four of them). Climb up, run a little over the top, descend and repeat three times before coming into Lord Stones Country Park. At Lord Stones, or what I thought was about the halfway point (turned out to be only 22.5 miles), we met Jill and our friends David and Debbie who has driven down to provide some support. I think the support was as much for Jill, spending the day sat driving from place to place and waiting, as it was for us. A quick change of clothes into a fresh dry kit, a food resupply and again we were off, this time up the ‘fourth’ of the ‘Three Sisters’ Carlton Bank and towards the indoor checkpoint at 31 miles in Osmotherley where I knew there was freshly cooked pizza waiting. Well, there was for me anyway. Vegan Dave could have whatever he wanted, I just looked forward to warm pizza! Leaving Osmotherley we walked to let the food settle in our stomachs, and since it was uphill to Square Corner it would have been silly to run. The rain seemed to have eased by this point and the wind had died down making the conditions much nicer, or at least it would have had it not simply soaked the ground through so much that what would have been solid, was now just pure mud. We did some ‘Ultra Shuffling’ on the downhill bits we found, but mostly it was power walking uphill to see Jill, David and Debbie again at Square Corner. From Square Corner is another big climb up Black Hambleton hill, fortunately, this is a long and steady climb which was actually somewhat of a relief to me following the previous big steep climbs. Back on the tops of the moors it was head torch time, and although this section was pretty boring with no scenery (it was dark) it did allow quite a bit of running (shuffling) to be done towards High Paradise Farm and the descent into the disco (yes, they had a disco going on with lights and everything!) checkpoint at Sneck Yate. Straight through this checkpoint and onto Sutton Bank Visitor Centre where once again we met with our amazing support crew, took a few minutes to refuel and pressed on to White Horse. The Hardmoors Run Director Jon doesn’t like to make things easy, and so rather than simply being allowed to head towards the finish at Helmsley from to top of Sutton Bank, he put in an out and back section to the car park at the bottom of the White Horse. Yes, you go from the top to the bottom and back again climbing loads of stairs along the way. It’s like Roseberry all over again. Once you’re back at the top of the White Horse stairs though you know you’re on the home straight with about 9 miles to go. From the White Horse to Helmsley is almost all downhill, with no significant climbs left to do. Unfortunately, its also on a lot of grass and tracks which had been turned into what can simply be described as a mudfest by the preceding runners. Thanks for that fast lads (and lasses), as if I wasn’t slow enough I now have to slip and slide my way to the finish! So, it’s muddy, it’s slippy, it’s dark, I have tired legs and Dave is a power walking machine up any hills. I said its mostly downhill, but not all. I chased him up pretty much every climb on the course. We pressed on knowing that the end was in sight and that we should just make the cut off of 16 hours. Before we started, and in good condition, I had thoughts of being able to do this in around 14 hours. How wrong was I. The end was in sight though and leaving the mud and hills behind we descended into Helmsley where Jill, David and Debbie had walked to the top of the track at the end of the Cleveland way to meet us and see us to the finish. Solid ground and tarmac was a delightful sight, but this was a Hardmoors event and it wouldn’t be complete without one last hill to the finish at Helmsley Sports Club. It’s really just a gentle incline that normally I wouldn’t think twice about running up, but this was mile 54 and there was no running up any inclines going on! We had done it. Finishing in a time of 15 Hours 48 minutes. Dave for his 6th (I think) time, me for my first (and last!) time. Jill, being the amazing support that she was had even got our beers for the finish (She’s a keeper) and boy did they taste good. What have I learnt, and what’s next? Well, I have learnt that whilst I have the time to go for long runs on a Sunday morning, what I don’t have the time for is all of the other miles. 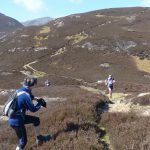 The back to back long runs, the cross-training that is required for an event of this nature. Running 18 miles on Sunday is all well and good, but doing it again on a Monday after a full day at work, now that’s hard! What’s next? 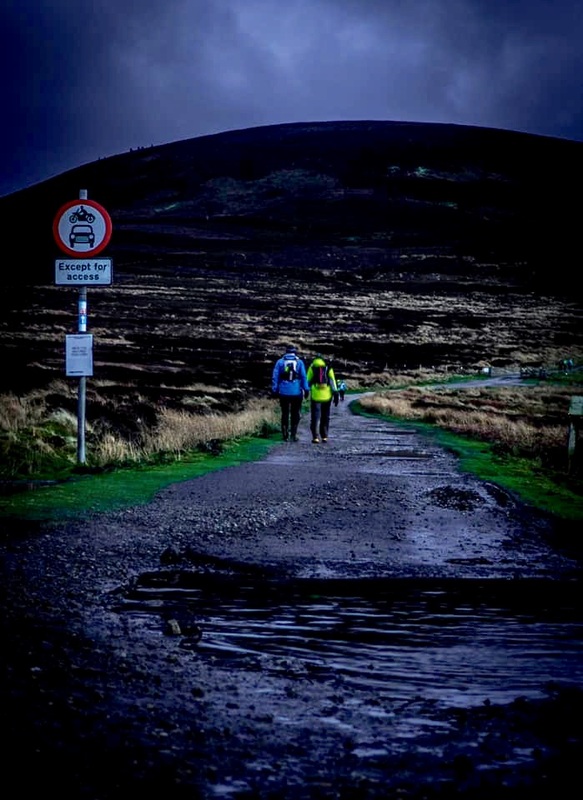 I have the remainder of the Hardmoors 26.2 Half Marathon series to look forward to. 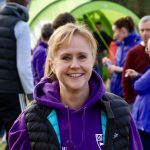 The longest ‘Half’ Marathon is around 17 miles which are comfortable and doable on my planned training schedule of a couple of 10k’s, a parkrun and 10 miles/ hm’s on Sundays. During the long-run training, I’d forgotten just how much fun and enjoyable a 10k (or about an hours run) can actually be and I look forward to enjoying my runs again, not being permanently tired, and being able to get out of bed without aching again. Oh, and I have also promised to return the favour for Dave Toth and accompany him on the St Cuthberts Way 45 miles. Guess those pain-free mornings are just going to have to wait.